I remember interviewing Joan Armatrading long distance on the phone. I was smitten by her voice; both the strength and the tenderness of the way words sounded when she spoke, and especially when she sang. She had a depth; not just a low pitch, I mean an immensity, like you could travel for days and not be able to cross over to the other side of the countless different ways she could say, or imply, or make allusion to, the word and reality of love. She was a master of what happens to all of us, to any of us, when we surrender body, mind, soul and whatever else we might own or control, surrender our all to a person who may or may not appreciate the magnitude of the gift we are offering. Those songs in the 1970s before she went in a more rock direction were sonic maps of intimate expressions and experiences. I’ve always thought “I’m not in love / but I’m open to persuasion” (“Love And Affection”) was the perfect articulation of a person on the verge of accepting an invitation to jump feet first into an affair that might or might not turn into a lasting relationship. “I’m open…” kind of says it all. And then, there is that ode to infidelity in which the wrong doer acknowledges that her lies are turning a trusting and trusted partner into some kind of “unknowing fool,” (“The Weakness In Me”), which is the kind of fool we all can be when the person whom we love unconditionally and blindly has succumbed to the temptations of a third party. I’m a poet but I could go on for days quoting lines and phrases from Joan Armatrading songs; marvelling at how she constructed those short stories while sounding out the complexities of intimate relationships. Even more astounding than the themes she deftly explores is the way she writes flowing lines often without recourse to rhyme. Her lyrics just seem to flow, perfect as gentle surf on Barbados’ calm southwest coast—and if you’ve never been there, imagine how moonlight sounds shining on silver-blue waves ebbing and flowing so softly that there is no foam, only a soothing tickle of water lapping like a lover’s tongue. Joan Armatrading could write like the Caribbean poet she obviously is. Born December 9, 1950, on the island of St. Kitts, she moved to England when she was eight years old. By her mid-teens she was writing and playing the guitar (by the way, that’s Joan taking that ultra-fierce guitar solo on “Steppin’ Out”). Although I admired her music from the seventies, the seventies is a long time ago, so imagine my mixed feelings when I heard that she had a new album recorded live and that she sang many of her old songs. I don’t particularly care to listen to performers trying to reprise their music notes from thirty years ago. We all age. What was charming in youth too often sounds like mockery or embarrassment when the matured artist tries to recapture past exploits. The whole retro/nostalgia bit is just not happening. On the other hand, sometimes an artist does find a way to keep the music sounding fresh. I thought this was going to be lackadaisical and fraught with either miscues or missed notes—generally speaking the suppleness of a twenty-something voice flees when the vocalist crosses fifty. 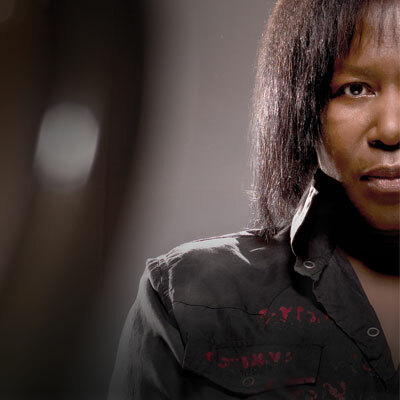 Joan Armatrading sure proved me wrong. Her new release Live At The Royal Albert Hall is audio evidence that some people can go home again. I have other live Armatrading recordings, both official and bootleg—believe me, this one ranks among her best. To support my point I’ve paired selections from the 2010 recording with a brace of songs from a newly reissued 1979 recording, Steppin’ Out Live. Although the bands are different, with different energy, Joan’s voice displays the same aching, intimate articulation. Steppin’ Out Live was originally issued in Canada in LP format only—I have no idea why there was no general release. In one format or another I have owned a copy since its release. Moreover, I recently acquired the reissue which was remastered with the audio juiced-up a bit. This recording is a superb intro to the art of Joan Armatrading, and would be my first choice were it not for the new Live At The Royal Albert Hall. I think the band playing is stronger on Steppin’ Out Live but Live At The Royal Albert Hall is a combo package of CD and DVD. As I indicated earlier, Joan sings strongly on both recordings. My advice is to get both. But let me just return to the amazing abnormality: when she was about seven months shy of sixty years old, Armatrading sang live in concert as strongly as she did when she was twenty-eight years old. That’s a lot of water under the bridge, a point when most of her peers are over the proverbial hill, but Joan - Joan, the amazing Joan Armatrading, remains as sterling as a harvest moon on a cool, crisp autumn evening—utterly amazing! I could easily have put this in the classics category, especially since I consider all of the songs on this Mixtape exemplars of their era and genre, but because in April 2010 Joan so expertly sang a 15-song summation of her recording career, I have to classify this as contemporary music. Not all of the tracks are compositions from the 1970s. There are a handful of songs of more recent vintage but the bulk are prime highlights from one of the master composers of post-1960s pop music. Stepping Out Live and Live At The Royal Albert Hall are the two bookends on the career (to date) of an important and serious musician. Do yourself a huge favor, don’t choose one over the other. Get both albums. You won’t regret it—in fact, you’ll thank me for it! Kalamu ya Salaam is a writer and filmmaker from New Orleans. He is also the founder of Nommo Literary Society - a Black writers workshop.